Weather stripping can be incredibly helpful. It can also be pricey. Here are some factors that affect the cost and what you should be looking for. How Much Does Weather Stripping Cost? Weather stripping is a wonderful way to keep your home or car free of drafts, rain, and other elements that can ruin an interior and make a home drafty. When it comes to weather stripping your home, you can eliminate a great deal the elements, and it can truly make a difference to the overall comfort of your home. 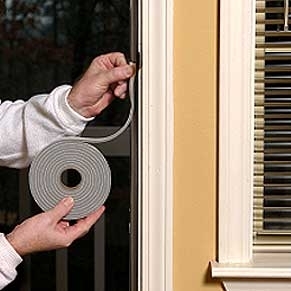 How Much Does It Cost to Install Weather Stripping? The overall cost to install weather stripping will be influenced by several factors. The first factor to consider price is, what exactly are you having done. Say, for instance, you want to have the windows in your home weather stripped and you only have five windows total that need the service, this is going to cost significantly less than a home that has twenty windows that need to be done. The size of the job has a great effect on the overall price as it can also affect the overall ease and length of time that the installation will take. The difficulty of the installation can also make a big difference and can affect the overall weather stripping. This can make a huge difference and really affect the end price. 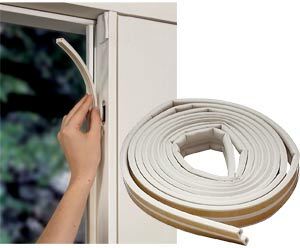 Figuring out how to install weather stripping properly can be difficult, and proper installation may require a bit of skill too. That is why hiring a professional is the best option to get your home weather stripped quickly, easily, and as efficiently as possible. Factors To Consider Another factor to consider is the company that you are working with. Often times companies will offer sales and they will also offer a wide range of products. Companies often carry two or more brands of product so that buyers can choose what works best for them. This also allows buyers to choose the product that costs the least or that\\\\\\\\\\\\\\\\\\\\\\\\\\\\\\\'s best-suited works for their project. If the company that you are working with offers specials, deals, and multiple products, you may be able to reduce your cost to as little as ￡77. On average, however, the cost to install weather stripping comes in at about ￡231. In some cases, homeowners may pay as much as ￡616, though this is rare. Other Factors to Consider The last factor you may want to consider is, of course, the season in which you are having the work done. Most people do not see the need for weather stripping unless it is very hot or very cold and drafts have become part of daily life. That being said, spring and fall are often the times when people have weather stripping installed to help combat the cold and that comes with the particular season. Since the spring and fall are often times when weather stripping is commonly installed, having it done in early winter or summer can help reduce costs as well. Free Estimate From Local Professionals If you have any questions about weather stripping, the cost, or the overall process, you can always enter your postcode in the space provided for a completely FREE estimate on the cost to install weather stripping professionally in the area. Remember, this offer is 100% FREE, and there are no hidden costs or any obligations to make any purchases. So do not hesitate! Enter your home postcode now and get in touch with contactors in your area!